Pmods come to Raspberry Pi! The Pmod HAT was designed in collaboration with RS Components with example Python demos and libraries hosted on DesignSpark. 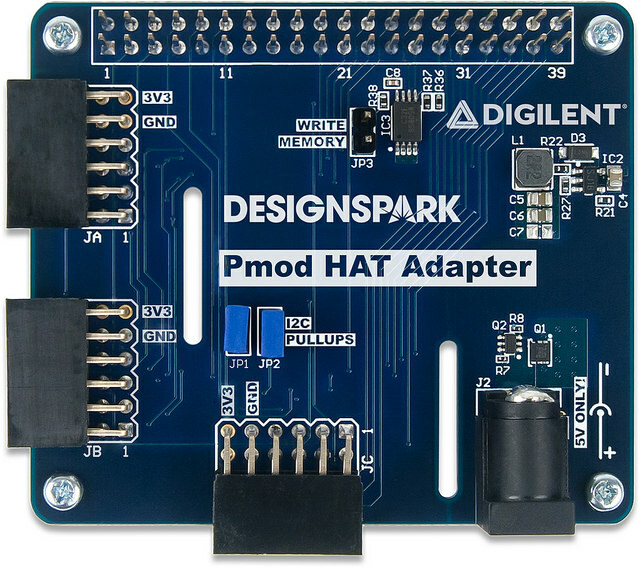 The Pmod HAT Adapter is an adapter board from the 40-pin Raspberry Pi header to Pmod. By plugging the Pmod HAT into any Raspberry Pi board that uses the 40-pin GPIO header, you can break out the header signals to Pmod ports for quick access to Digilent’s diverse line of Pmod add-on boards. Just boot your Pi board with the Pmod HAT attached for easy plug and play functionality! Most of the 40 pins on the Pi are shared with the Pmod ports, so stacking multiple HATs together is tricky if planning to use all three Pmod ports. However, five GPIO pins are unused by the Pmod HAT Adapter. These are available to the user as extra GPIO. Power can be supplied to both the Pmod HAT and the host Raspberry Pi board through the 40-pin GPIO connector’s two 5 V pins, or through the external barrel jack on the HAT. If using the external power jack, be sure never to connect both power supplies at the same time and always disconnect the original supply before plugging in the other. Pmod HAT ships with four standoffs to improve mechanical rigidity. It’s a good idea to install the two standoffs opposite the 40-pin connector to ensure the metal pins of Pmod port JC do not come into contact with the HDMI port and potentially cause a short. As stated above, the Pmod HAT Adapter is compatible with all Raspberry Pi boards that use the 40-pin GPIO header. More specifically, this includes the Raspberry Pi Model A+, Model B+, 2 B, 3 B, Zero W and Zero. There are three Pmod ports on the Pmod HAT and all three can be used simultaneously. Any Pmod that has been designed to the Digilent Pmod Interface Specification 1.1.0 or higher should plug directly into the HAT and work. However, due to the available pin resources on the Pi, there are some specifics to watch out for. See the below table detailing the Pmod port pinouts. Notice that Pmod ports JA and JB both support SPI Pmods but share a single SPI bus. 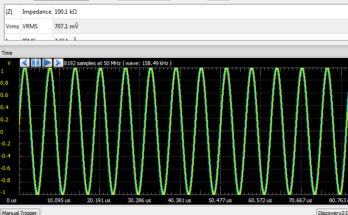 The user should be aware of this if using two SPI Pmods simultaneously. Also notice that I2C signals are broken out on pins 9 and 10 of post JB. Therefor, 6-pin I2C modules can plug directly into Pmod port JB but only on the bottom row. Another option is to use a 12-pin to dual 6-pin splitter cable to access both the SPI bus and I2C bus on JB simultaneously. See the below image for a visual. 6-pin and 12-pin UART Pmods are supported on JC and all three ports support GPIO modules. 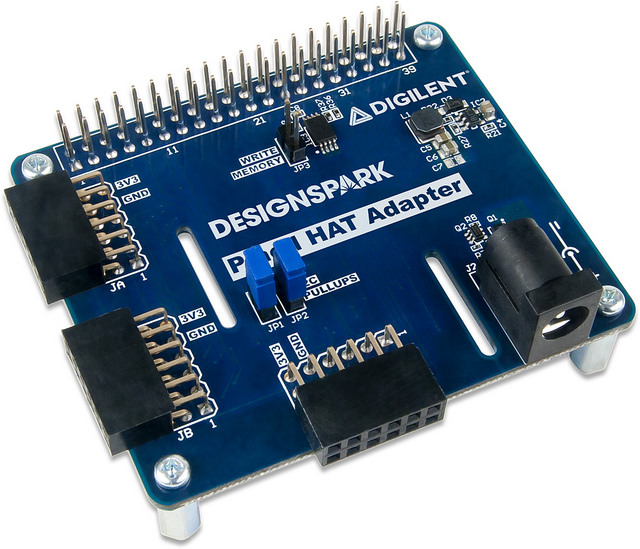 The Digilent Pmod HAT Adapter was designed in collaboration with DesignSpark, a community site by RS Components dedicated to inspiring innovation through providing tools and resources to engineers who are too often bogged down with logistics. DesignSpark engineers have created a handful of Python projects with Digilent Pmods including the AD1 A/D converter, HB3 H-bridge driver, ISNS20 current sensor, MIC3 MEMS microphone, OLEDrgb RGB display, and TC1 thermocouple module. They’ve written a thorough app note that walks users through installation and API documentation as well as basic and advanced examples using the Pmods listed. But if you’d prefer to jump straight to the Python Package Index or GitHub, you can do that as well. 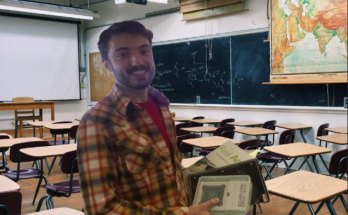 If you have any questions about the Python software support, contact the RS Components technical help team. 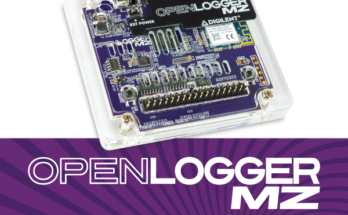 For any questions about the hardware or Pmod compatibility, feel free to reach out to us on the Digilent Forum!